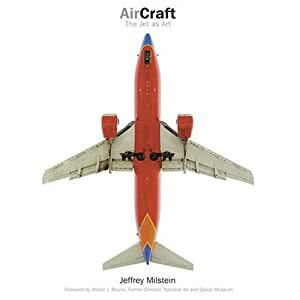 Aircraft: The Jet as Art [Hardcover] PPPA, Avi Depot=Much More Value For Your Money! Often it takes an artist to show us that the familiar is in fact truly remarkable. Jeffrey Milstein’s elegant photographs of commercial airliners have quickly become contemporary icons, published in 2005 in photomagazin, Graphis Photo Annual, and American Photography 21, and winning first place in the PDN Digital Photography Contest. 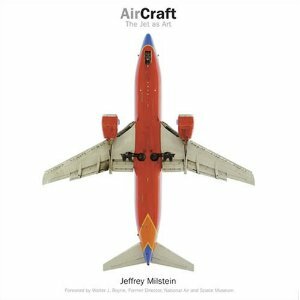 Milstein’s meticulously composed large-format photos of airliners in flight reveal the beauty and power of these sleek, complex machines and restores some of the glamour to the experience of air travel. An eloquent foreword by Walter J. Boyne helps the reader appreciate these amazing technological wonders, and the book gives technical data on each airplane pictured. Not just for the aviation buffs but for anyone who appreciates the sublime beauty possible in even the most complex technology.